United States president George Bush arrived late Thursday to São Paulo for a 24-hour visit to Brazil – the first leg of his Latinamerican trip – amidst serious street protests with 22 people injured among protesters, police and reporters and scores arrested. Surrounded by a huge security operation President Bush and his delegation were whisked from Guarulhos airport – under military control – to the hotel in downtown São Paulo where today he will be meeting his Brazilian counterpart Luiz Inácio Lula da Silva. A caravan of 40 vehicles with members of the Secret Service and Brazilian security forces escorted the armored presidential limousines specially flown in from the United States for the occasion. Hours before at Avenida Paulista, São Paulo's main avenue, riot police fired tear gas at protesters and beat them with batons after more than 6,000 people held a largely peaceful march, sending hundreds of demonstrators fleeing and ducking into businesses to avoid the gas. Authorities did not immediately report any injuries, but Brazilian media said at least 22 people were hurt after marching two miles through the financial heart of South America's largest city. Presidents Bush and Lula agenda for early morning Friday includes biofuels, particularly ethanol, of which the two countries are responsible for 70% of the world's production. Both countries are intent in a strategic alliance to promote alternative fuels and produce ethanol in African and Latinamerican countries. Another controversial issue is global trade and the World Trade Organization Doha Round negotiations which remain stalled on the issue mainly of farm subsidies and market access. Meeting with German president Horst Kí¶hler in Brasí­lia on Thursday Lula criticized subsidies granted to US farmers and described them as "completely contrary and harmful for free trade". The security operation to protect President Bush, the largest ever organized by Brazil involved 4.0000 members from the Armed Forces and police, an estimated 250 US Secret Service plus all the air and land logistics. From Brazil late Friday President Bush and the whole display of security will be flying to Uruguay for the second leg of the Latinamerican trip that also includes Colombia, Guatemala and Mexico. Huge protest demonstrations have been planned or are on course in all cities to be visited by President Bush who is particularly unpopular in the region because of the Iraq war, the US "imperialist attitude" and the soaring economic gap between rich and poor countries. Who paid for the posters for the protesters ? they seem to be well done in a nice Communist way !! NÀƒ£o tem mais nada a dizer. I haven’t seen any Brazilian recently clashing with the police in protest for high interest rates, poverty, violence, corruption and political scandals. Instead, they were all partying naked on the streets and sending precious food to a ficticious goddess who supposedly lives in the oceans. Where are the elite students and the PT protesters when the PCC was spreading violence in Sao Paulo burning buses and killing people? Am I missing something here? Why are these people complaining about a visit of the president of the United States who wants to buy Brazilian ethanol, but they don’t seem to care about the daily humiliation that the Brazilian government and its elites force down the throats of the Brazilian citizens? Is a good thing. Under a couple different regimes, they couldnÀ‚´t do it. Out in the fresh air. Gives the cops a chance to sharpen up tactics. As has been mentioned, itÀ‚´s a tiny fraction on a percentage basis. What would make the hair stand up on the necks of BushÀ‚´s SS guys would be the absolute lack of demonstration. That would really make them nervous. What are the locals up to? And the protests do so much for foreign reportersÀ‚´careers, the ones that get cought in the crossfire and maybe catch a rock or two. Each rock is worth a couple hundred thousand dollars to them. Gee, the signs are in Portuguese, so this must be Brazil, must be Friday, cool, weekend ahead. And all those t-shirts, signs, posters, paint, ink, replacement rubber bullets and tear gas, all that helps someone make money, adds to the GNP. Viva Felix Rodrigues! I hate to blow Alex’s bubble, but in Brazil is just the minority of the minority who goes to the streets make acts of violence or protest against imperialist USA. Every one make bad comments about Americans, amazing, but most of them wouldn’t change the day because of them. Sorry. Xiiii! The ignorance is amazing. Controlling the media?? Damn, why has bush been being lambasted in the ameican media for years now if he controls it? Why does he have an approval rating of around 30% if he’s controlling the media? And please, you people love to make comparisons to Adolf Hitler. You’re ignorant judge in Mato Grosso of all places(the slavery capitol of brazil) did it, and now you. Adolf Hitler was responsible for the deaths in WWII, around 30 million people, including the extermination of approximately 7 million jews. Do you understand how disrespectful you are being to so many different groups of people in making such an ignorant comparison? YÀƒ¡ll a realist and think that Bush controls the media? Bet thatÀ‚´d give him a good laugh. Where you been, boy, out in the back forty somewhere? YaÀ‚´ll like to meet up with one of them “poor, hopeless, weak-minded” soldiers outside a bar sometime? TheyÀ‚´d clean your plow. “Open your eyes”? Any Marine fresh out of basic is trained to pop either one of your eyes out in a heartbeat, before you know what hit ya. If I ever seen a lame post, yours is it. Bush is the modern Adolf, just much wiser, but used the same tacktics… controls media..people that support him and defend him, need to open your eyes , and investigate, read books, leaders dont have to kill thousands to be bad presidents,, but controling media, twisting stories,.. ..the war in Iraq is only for real white Americans that want to kill for a leader for false reasons. The army looks for poor, hopeless, weak-minded boys, with no confidence, that shows you that the Army is the only way out. Its not.. Humans never learn from history.. it just repeats itself.. just in a prettier, quiter, more orginized way…making something up to show that war is the way to go..The president sends black, hispanic,and all other races to kill for him… and i Know he doesnt care about them…. its like slavery but.. name as an American Soldier..
As an American I have voted for Bush twice and remain convinced that he was the best choice under the circumstances. I have not been pleased with every action of his, nor am I in agreement with the decisions of any single elected official on this planet. I have visited Brazil on multiple occasions and have relatives there. I am so disappointed at the rudeness and lack of hospitality exhibited during this visit. This man is a representative of the United States and this is a slap in the face of all Americans…you have made many enemies in the US with this total lack of respect for our president…it will cost you millions in tourism dollars and investments withdrawn…how foolish!!! Could mean putting them in power and could mean putting one over on them. I donÀ‚´t see too many Brazilians having it straight except for the bottle a day 51 guys. Funny you use the same word that describes best a president who preaches democracy while setting up dictators. 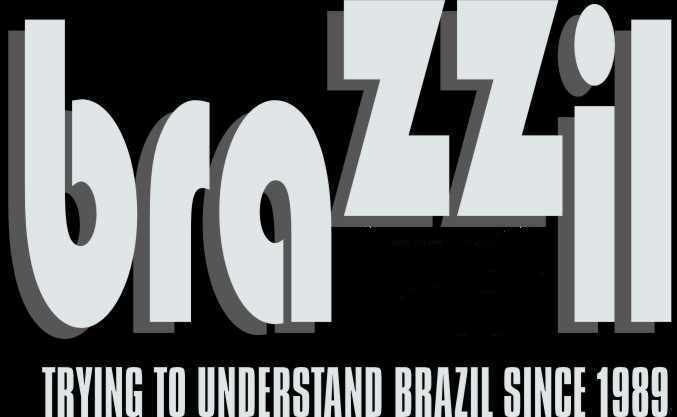 I think the Brazilians have it pretty straight. 90 miles from Key West? Brazil’s favorite past time: Blind and dumb hatred for anything that comes from Washington while trying to emulate everything abouth the American style of life. It is time to get over the fact that the CIA supported the military regime. The other alternative was comunism and governments friendly to Russia. Just take a look at Cuba and see what Brazil could be today.